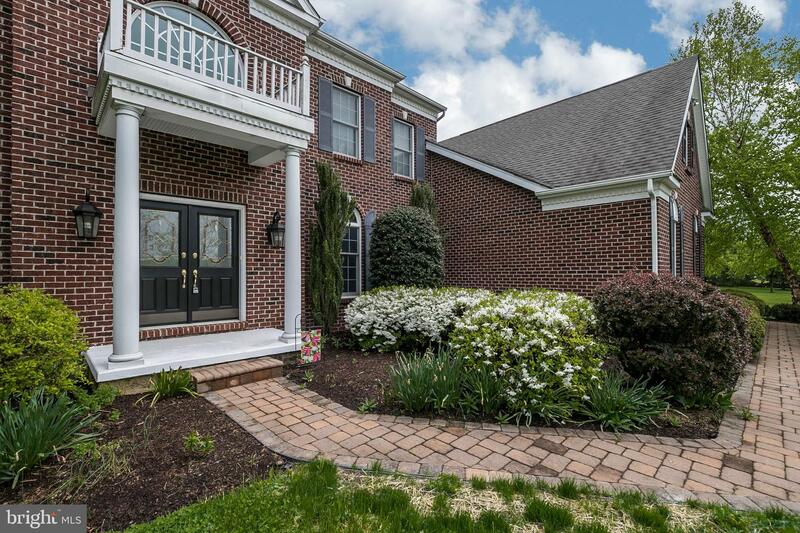 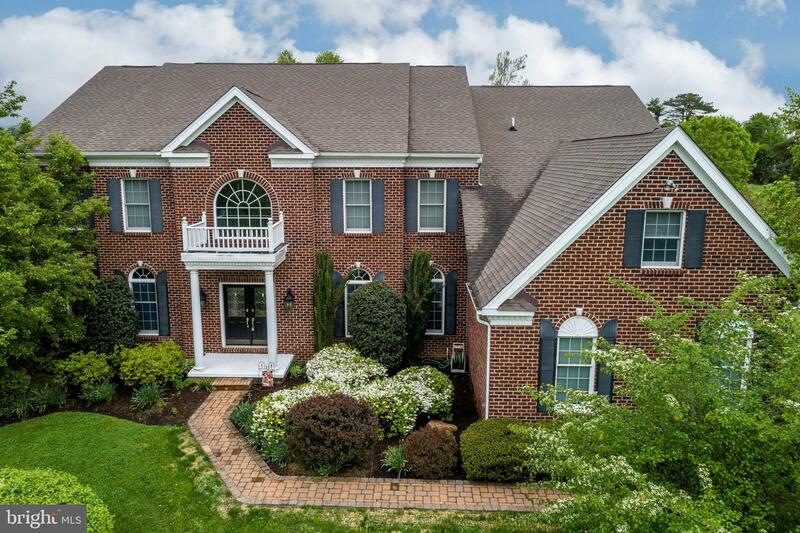 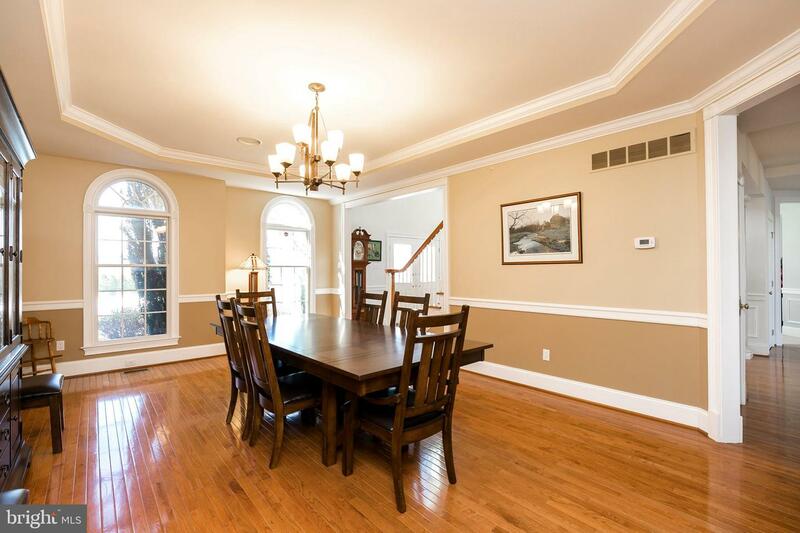 Stunning brick front home in The Estates at Ludwigs Corner, a scenic, private enclave of 8 stately residences. 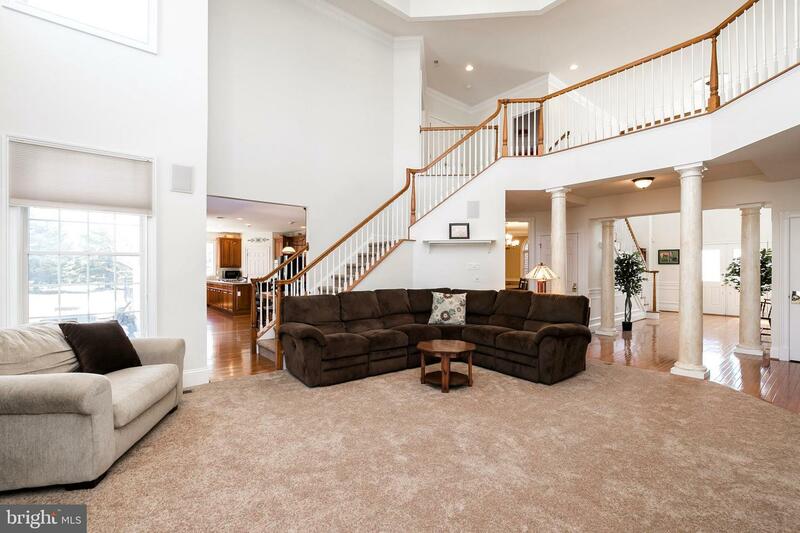 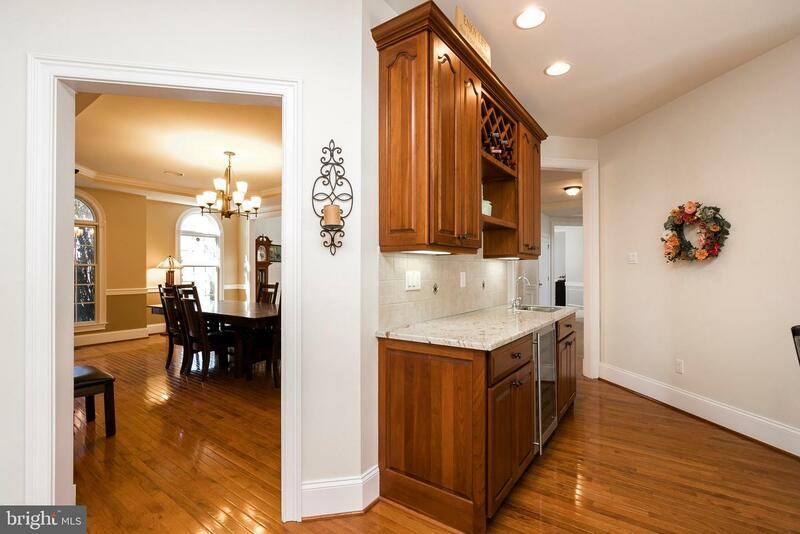 Boasting over 5500 sq ft, this 4 Bedroom, 4.5 Bath Home combines an expansive floor plan with numerous upgrades. 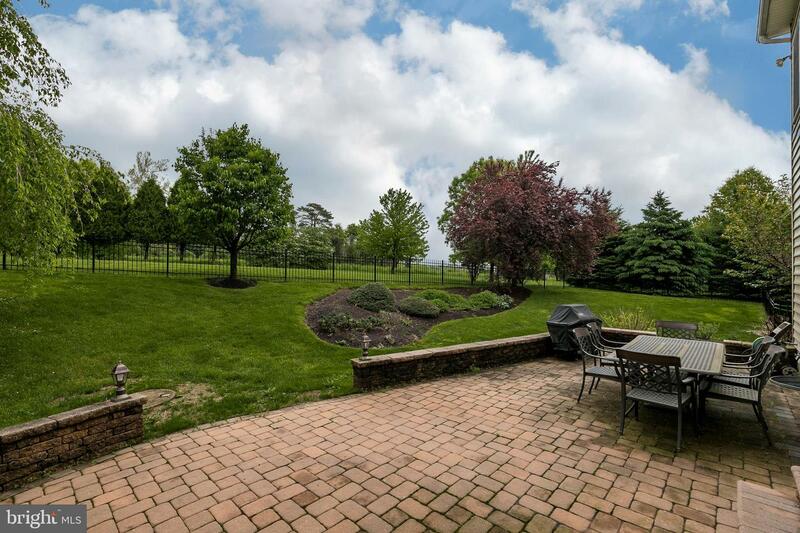 The half acre cul-de-sac lot offers a custom paver patio, beautiful views and a fenced yard that adjoins protected open space. 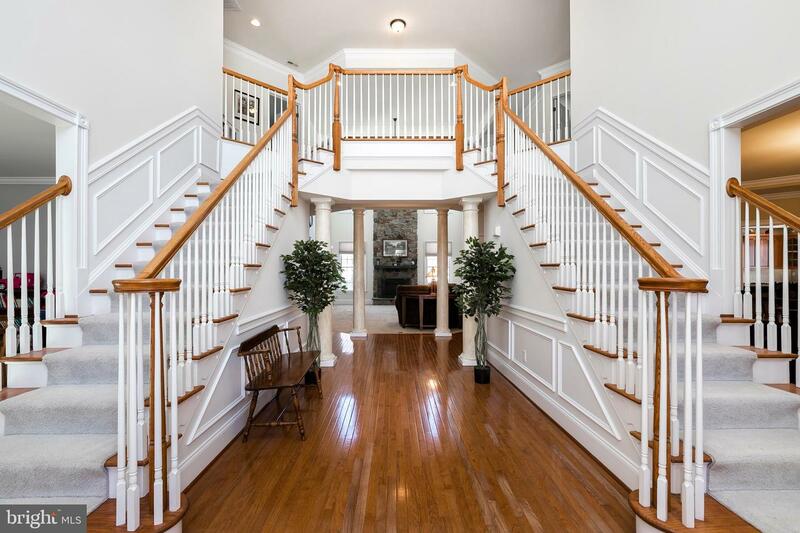 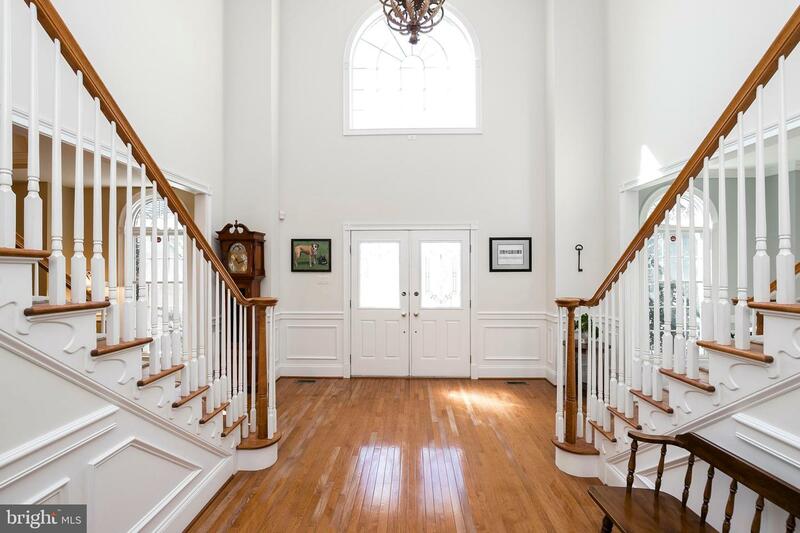 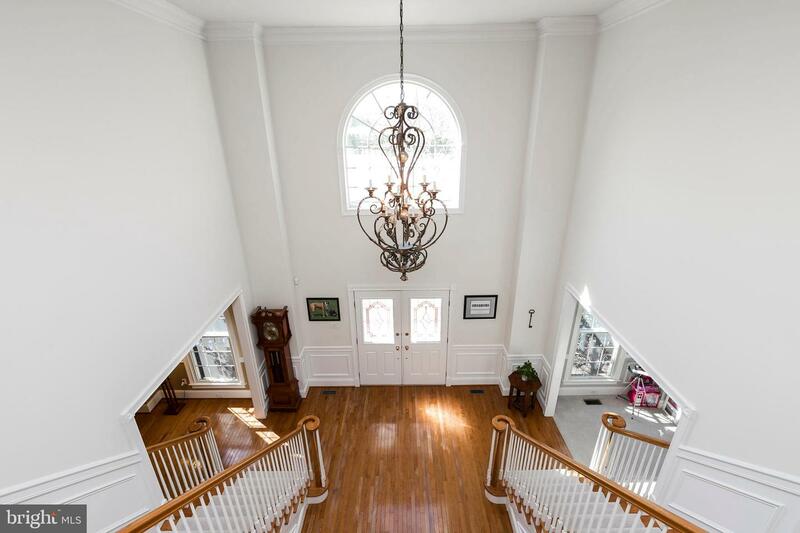 As you step inside this impressive estate home, you will be greeted by a dramatic entry with dual turned staircases that are flanked by the dining room with coffered ceiling and living room with moldings. 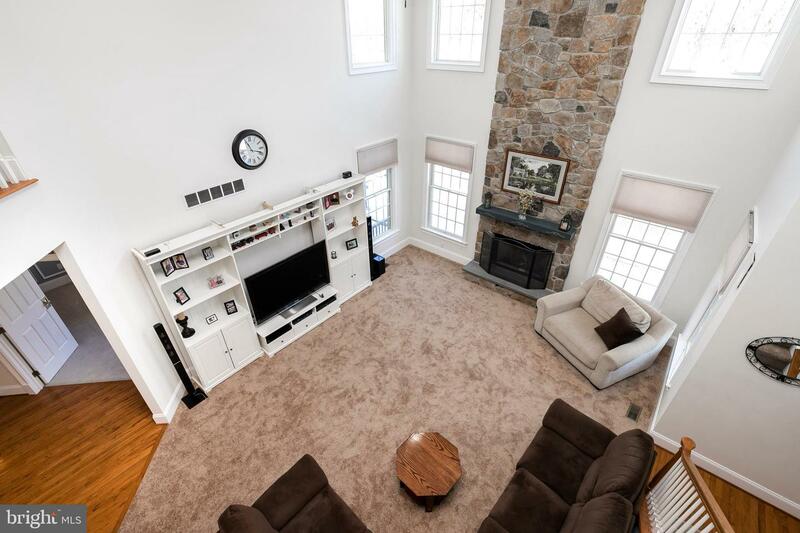 The soaring 2-story family room with floor to ceiling stone gas fireplace has a private secondary staircase that is also accessed from the breakfast room. 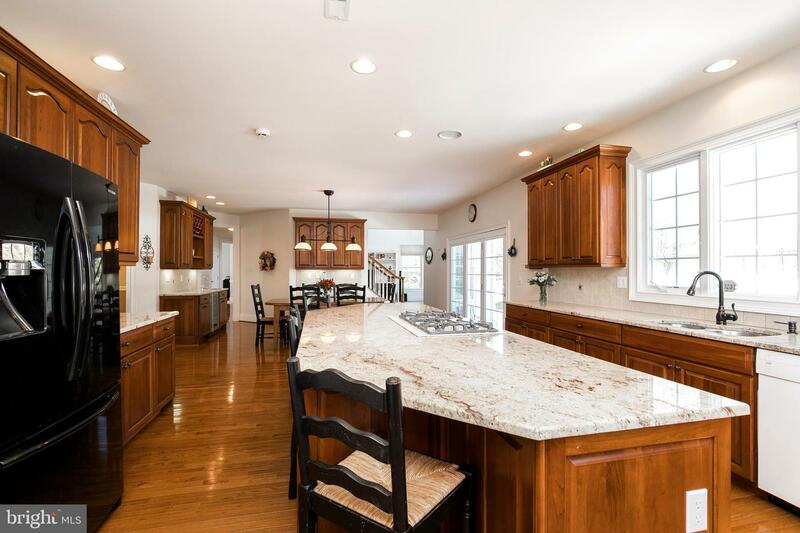 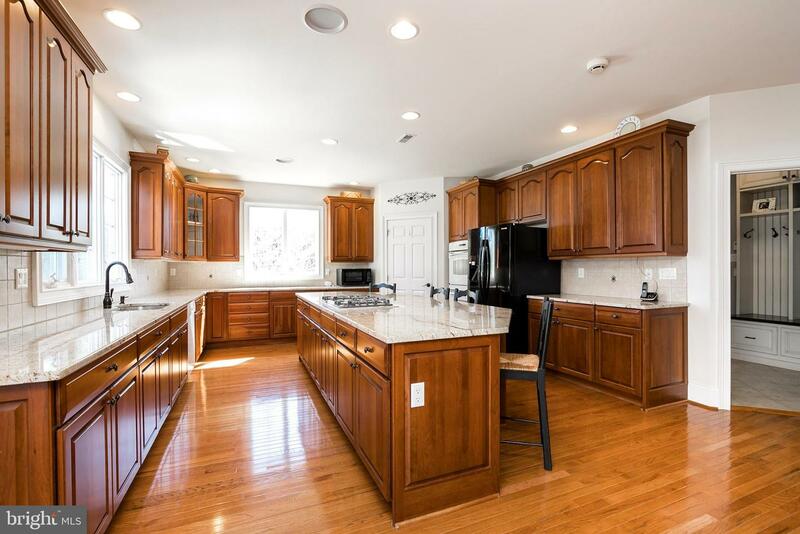 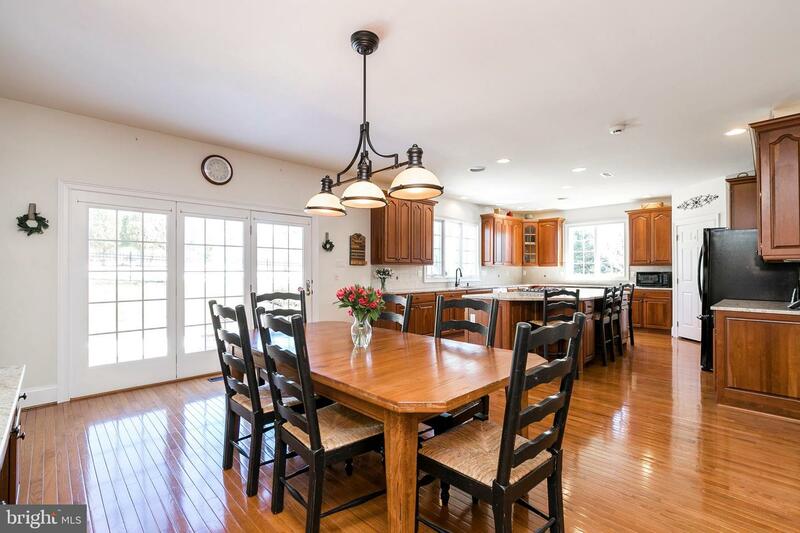 The huge gourmet kitchen will not disappoint you as it features a fabulous 11 foot granite island with ample seating, double oven, 5 burner gas cooktop, walk-in pantry, desk area and butlers pantry with sink and wine cooler. 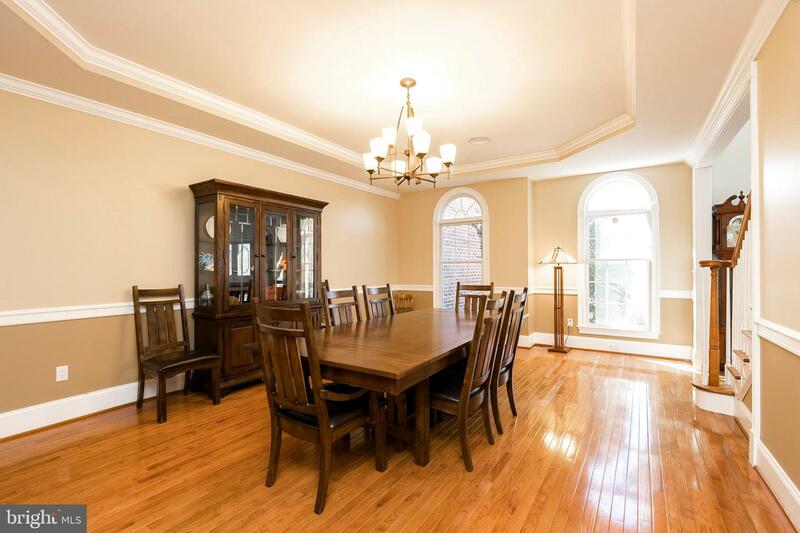 The breakfast room has triple French doors leading to the patio. 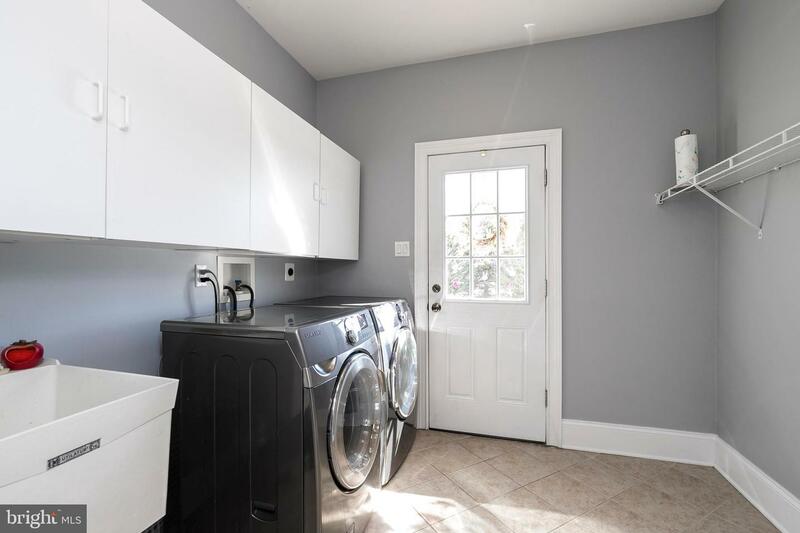 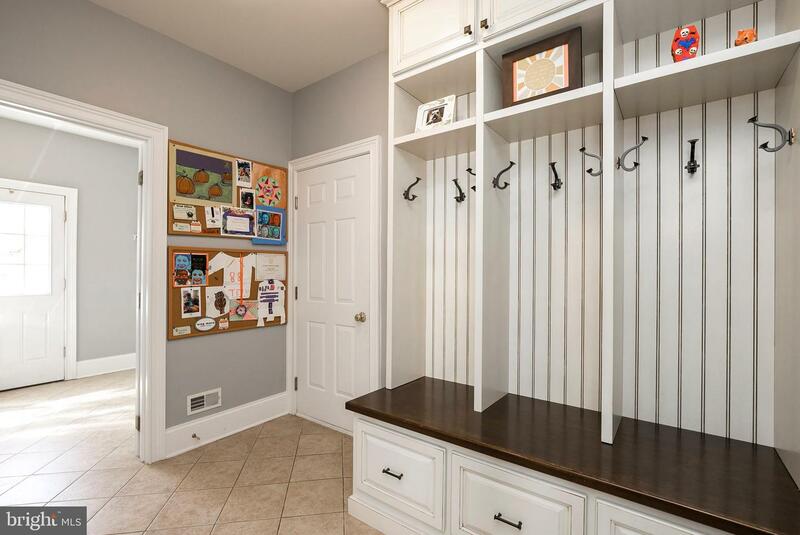 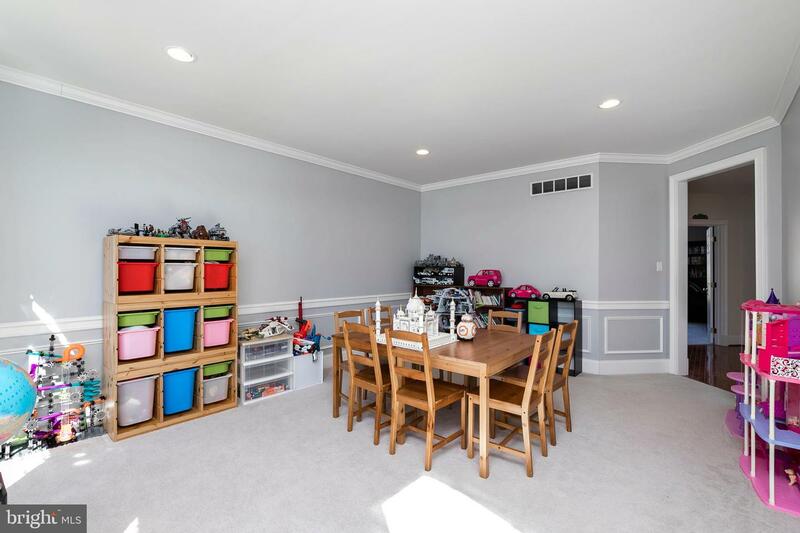 You will love the mud room that exits to both the side yard and 3 car garage and features a custom-built drop zone (great for coats, bookbags & shoes) and laundry area. 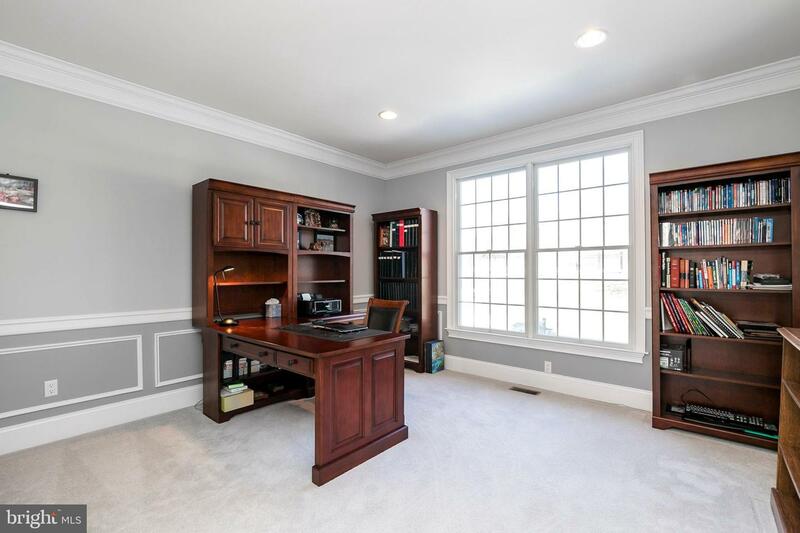 The private study with moldings and recessed lighting and powder room complete this level. 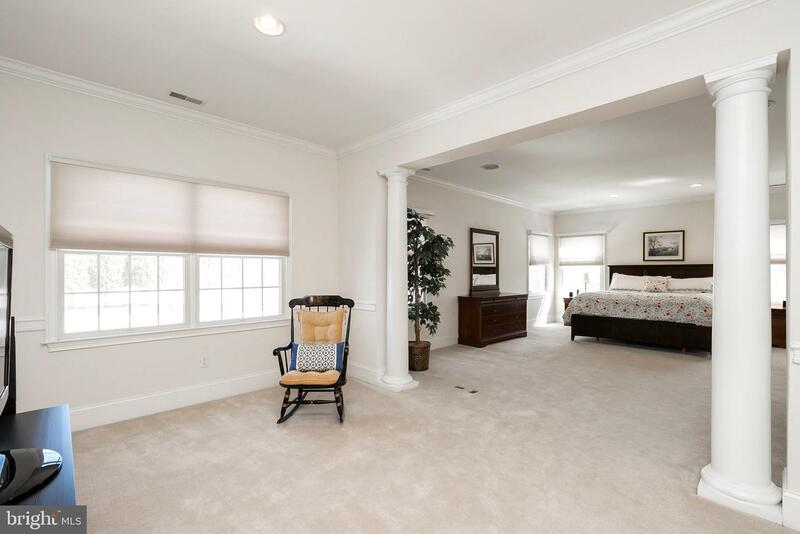 Upstairs you will find the ultimate master retreat, complete with a private den and columned entry, two walk-in closets (one is 9x26) and a luxurious bathroom with tray ceiling, relaxing jetted tub, granite vanities, walk-in shower with two shower heads and two private commodes. 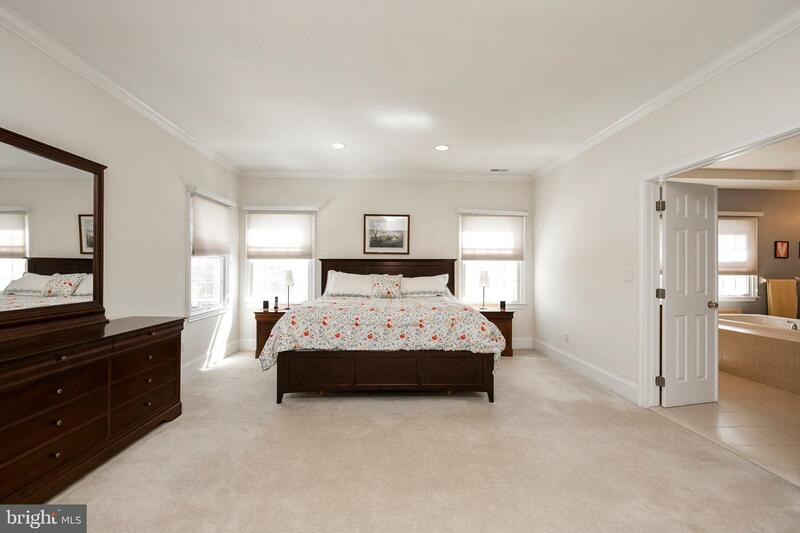 Three additional spacious bedrooms each have their own private bathroom. 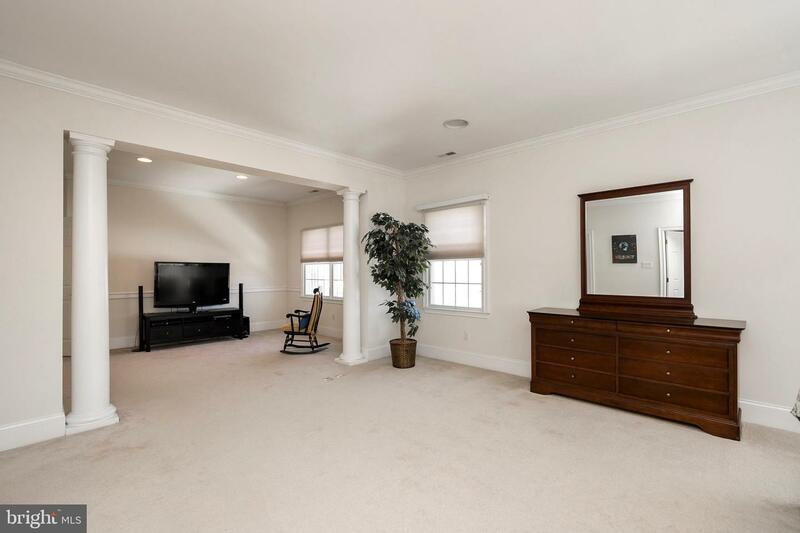 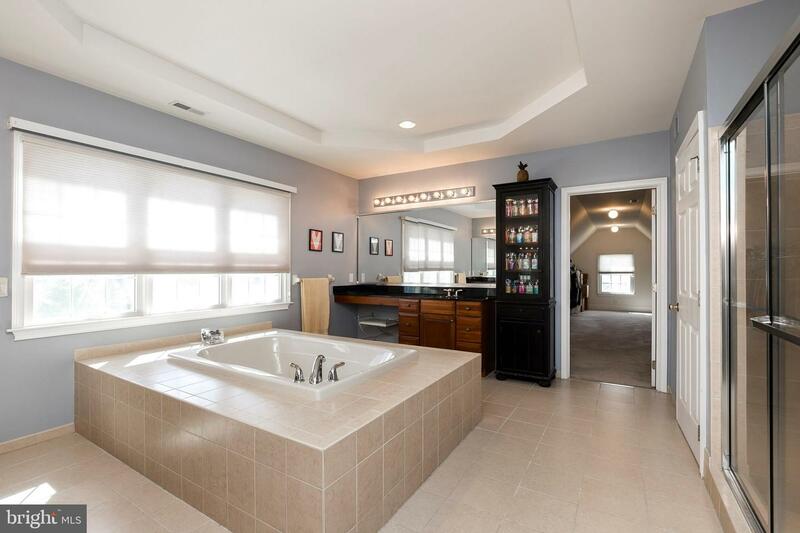 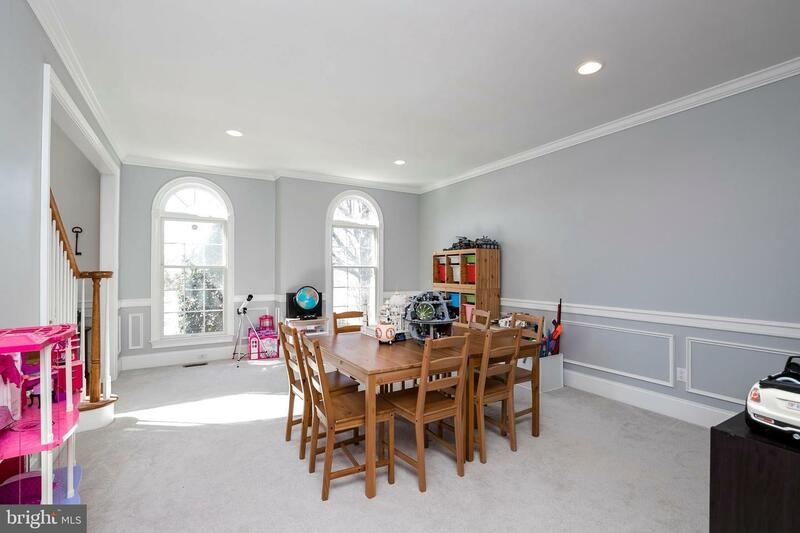 The basement can easily be finished into additional living space and features French doors to the rear patio and rough-in plumbing for a full bath. 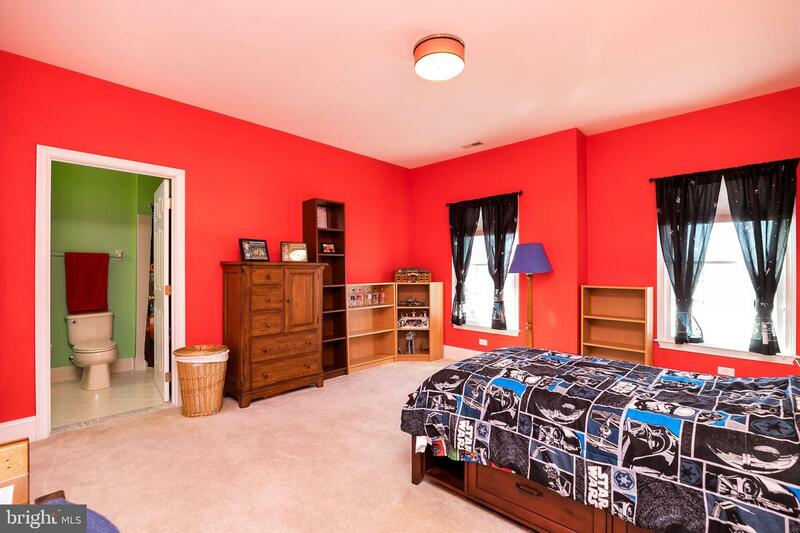 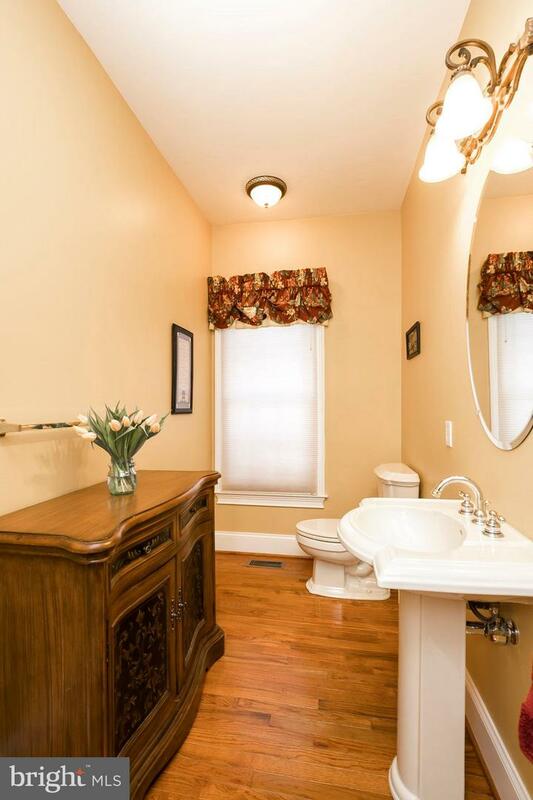 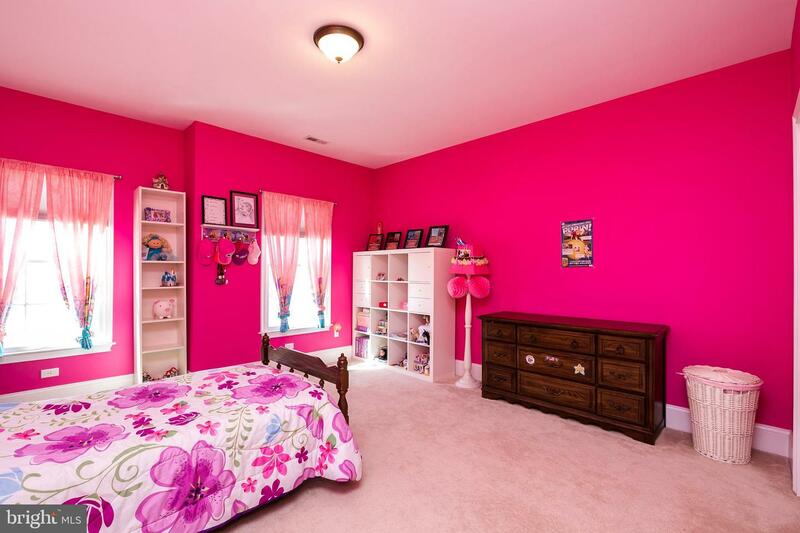 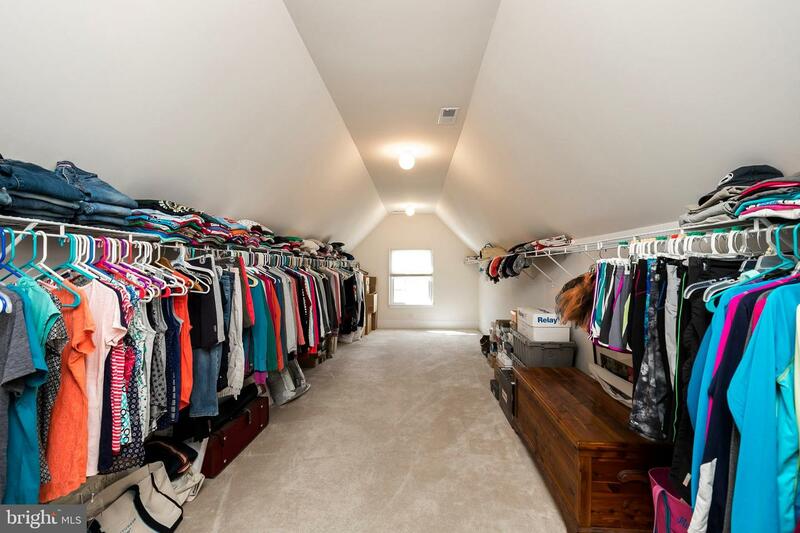 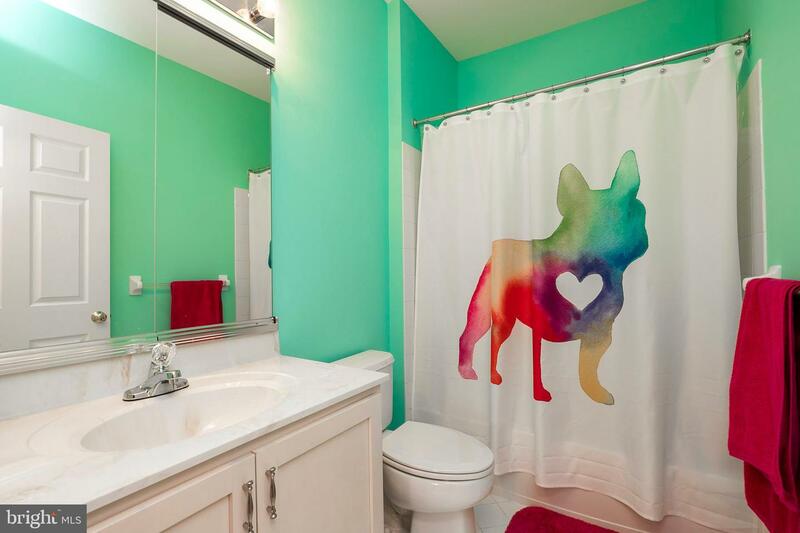 You will be pleasantly surprised by the room sizes in this home along with the number of closets. 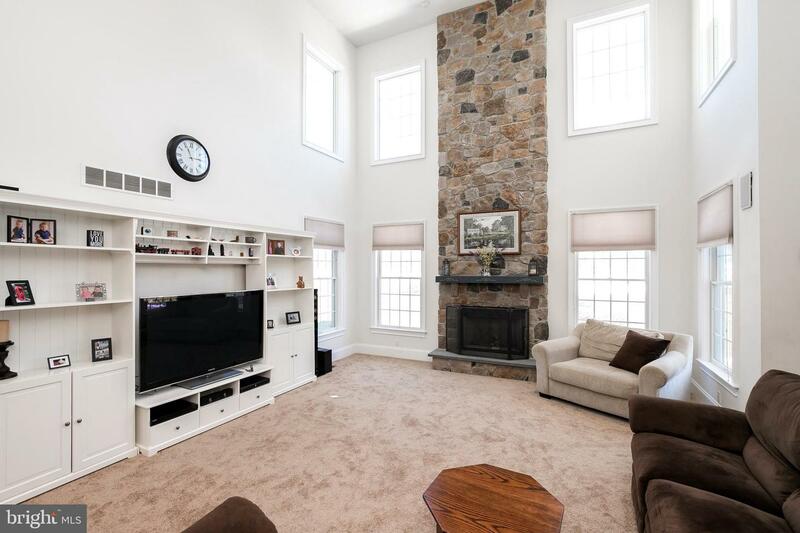 No need to worry about power outages as this home comes with a whole house generator. 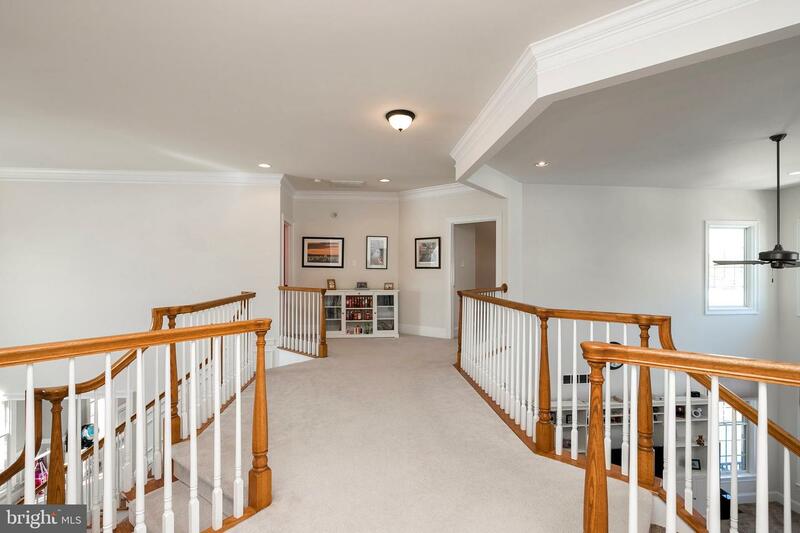 In addition, there is a new hvac unit on the 2nd floor. 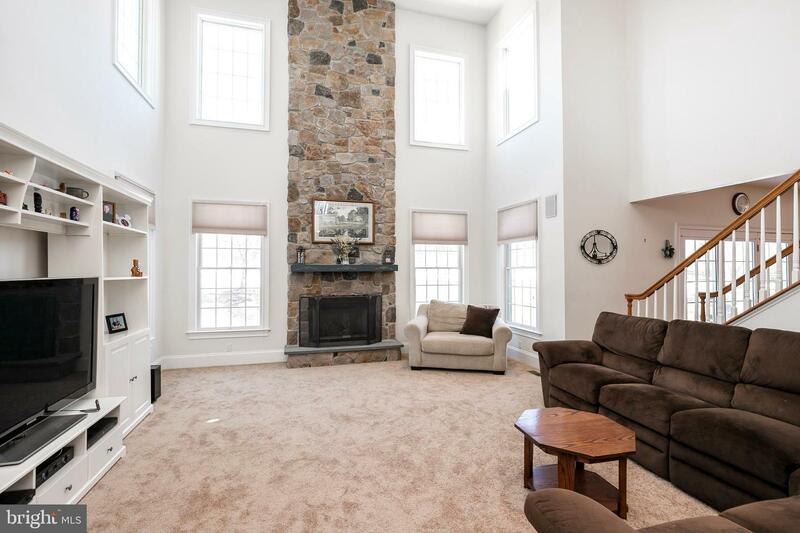 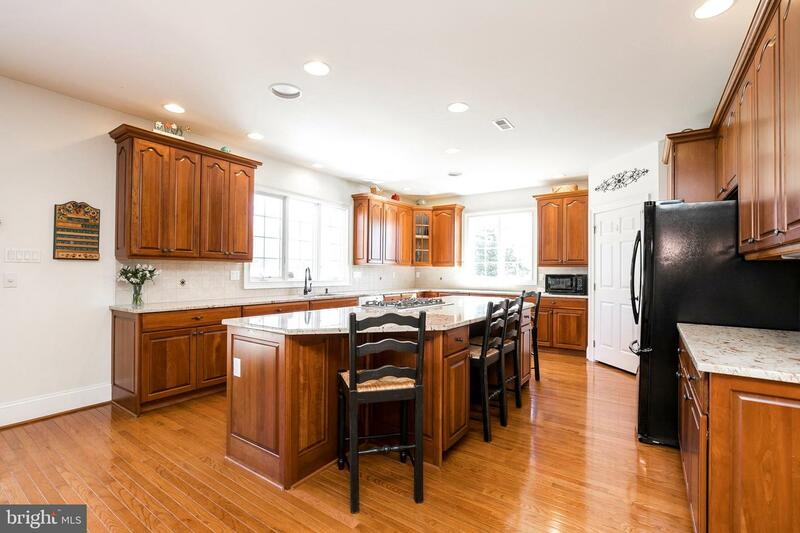 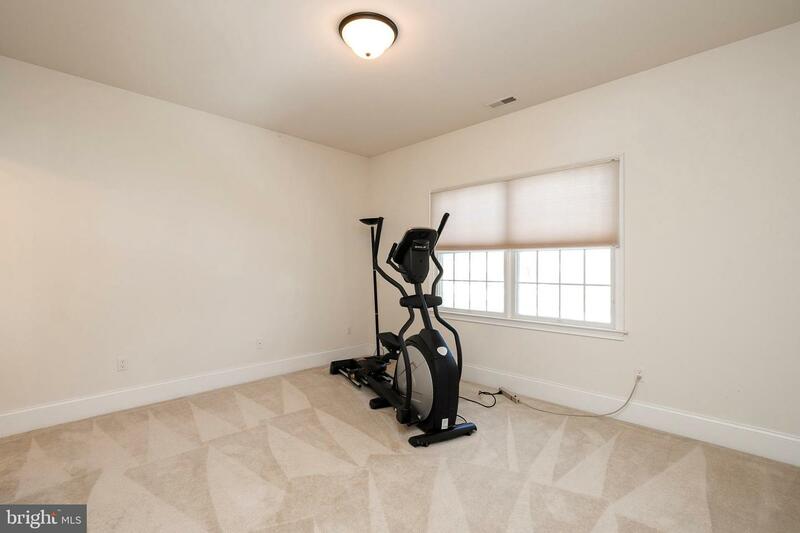 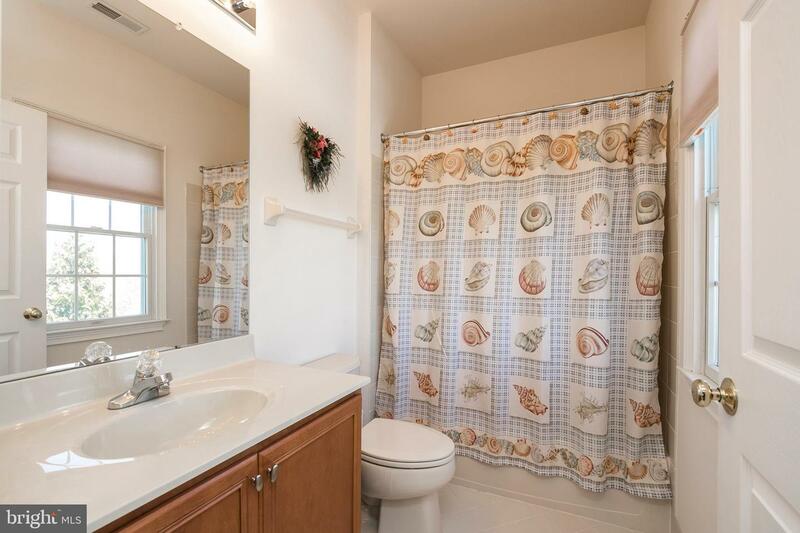 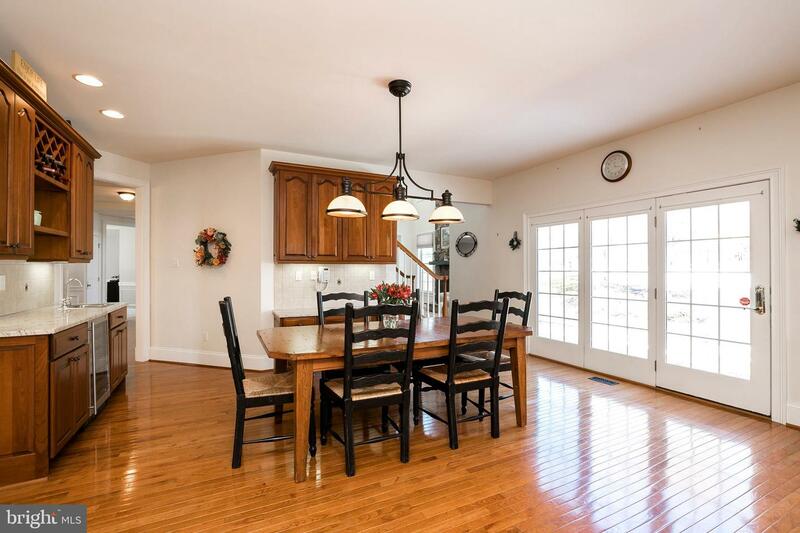 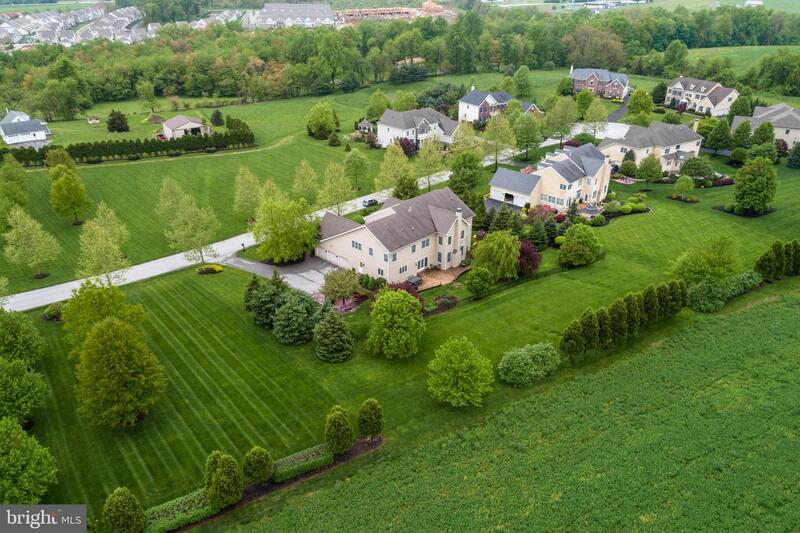 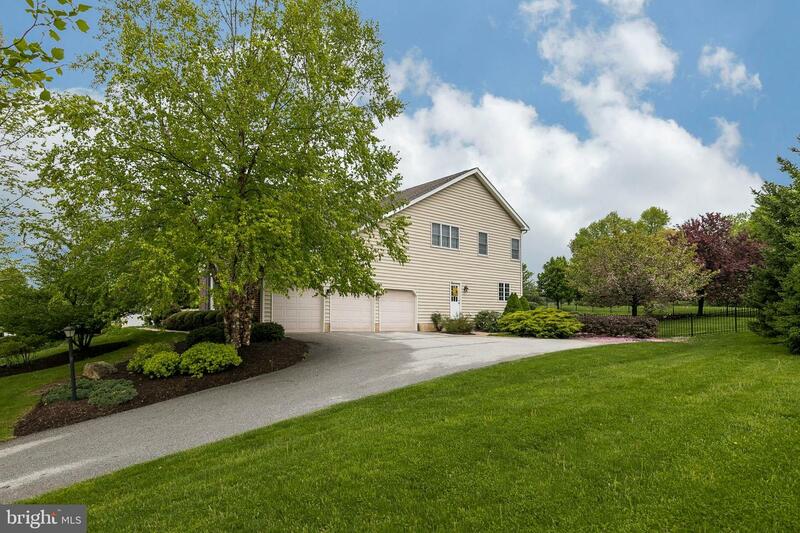 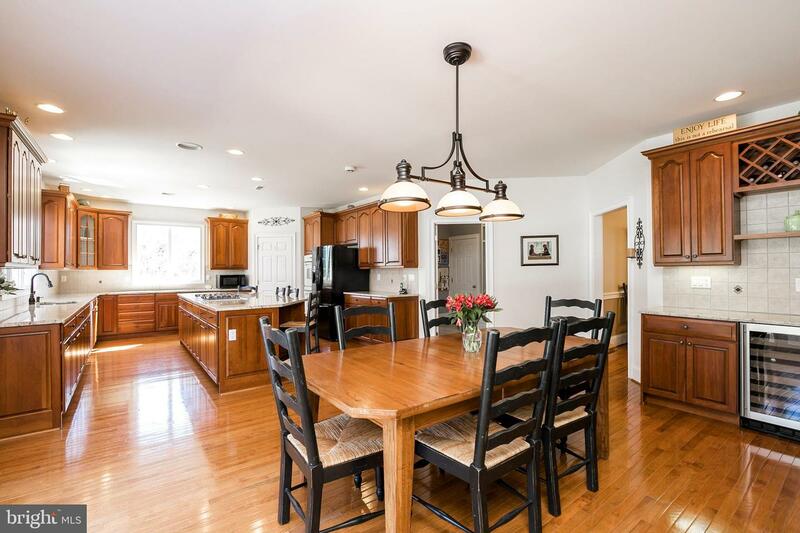 This scenic community is just across the street from the Shoppes at Ludwigs (and the future Wawa) and the PA turnpike, Marsh Creek State Park and other major routes are just minutes away. 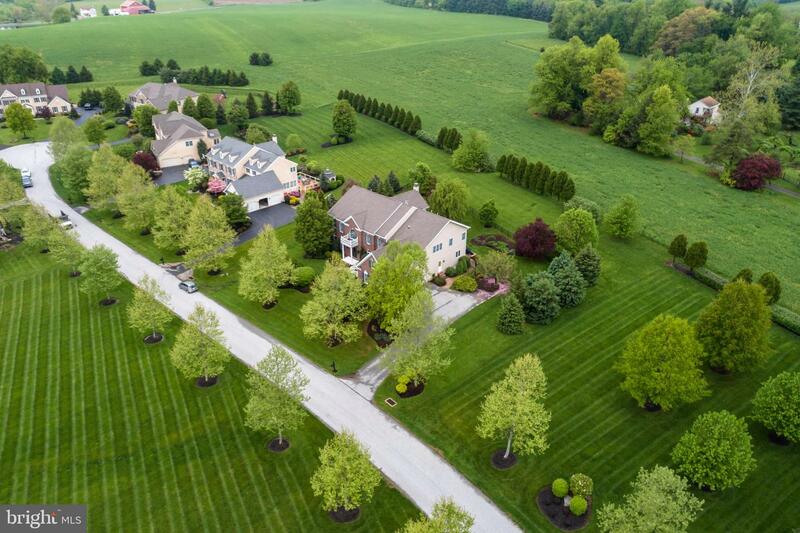 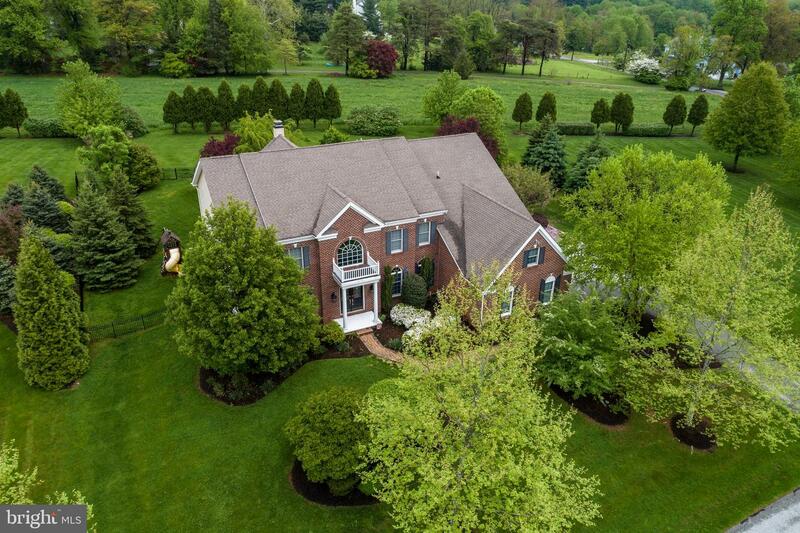 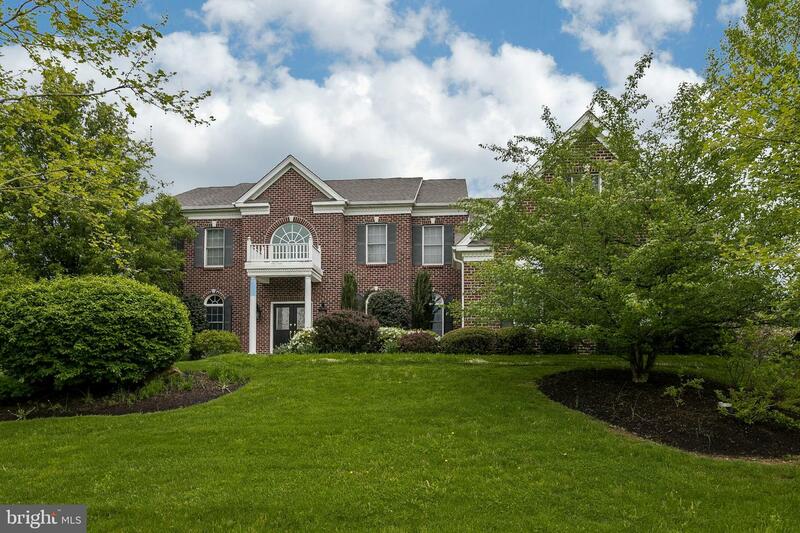 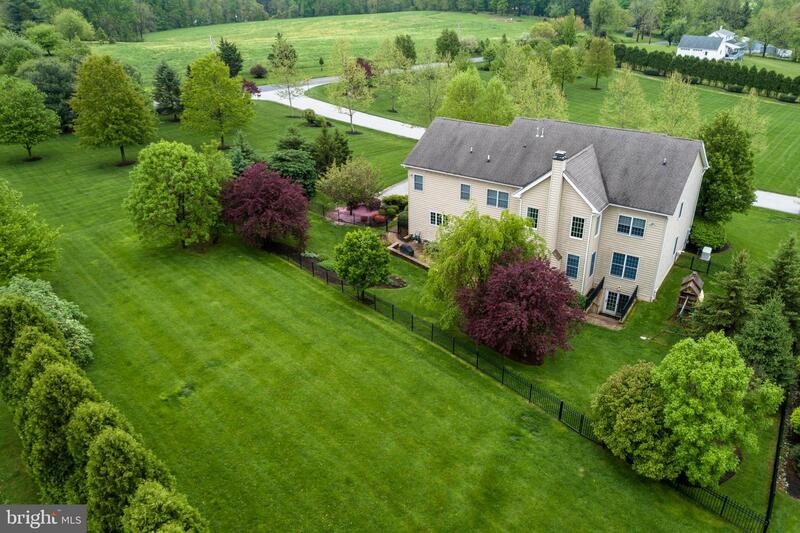 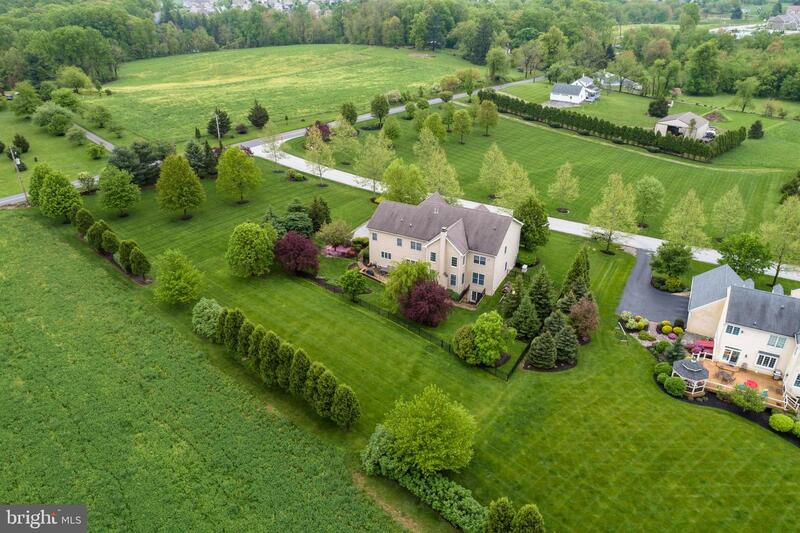 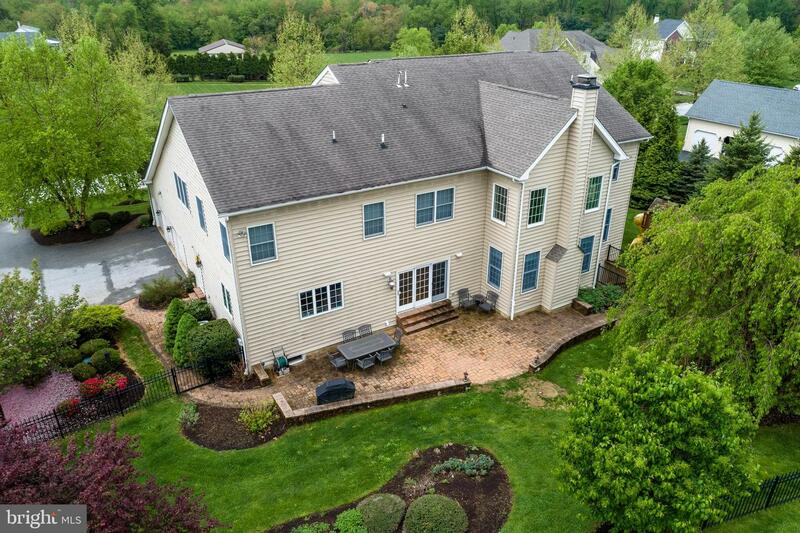 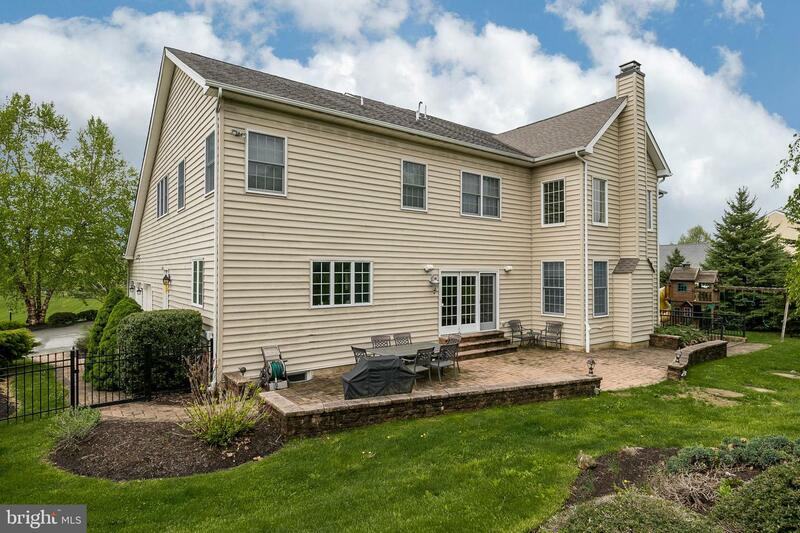 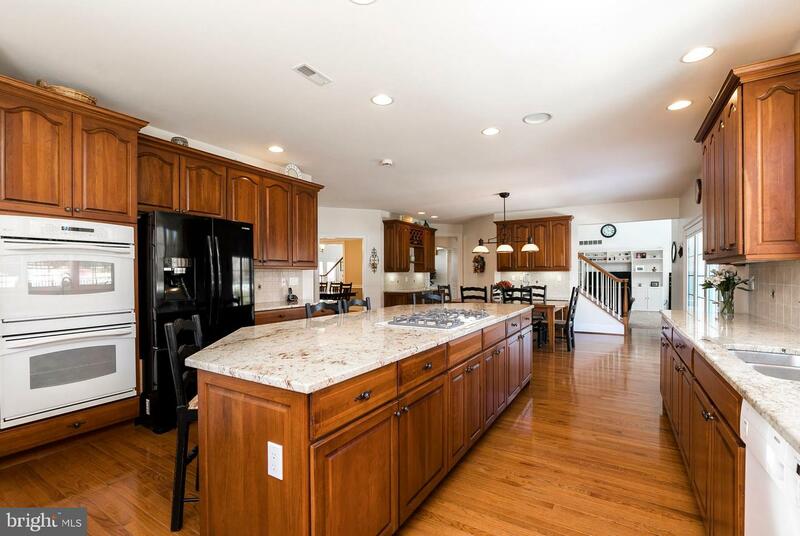 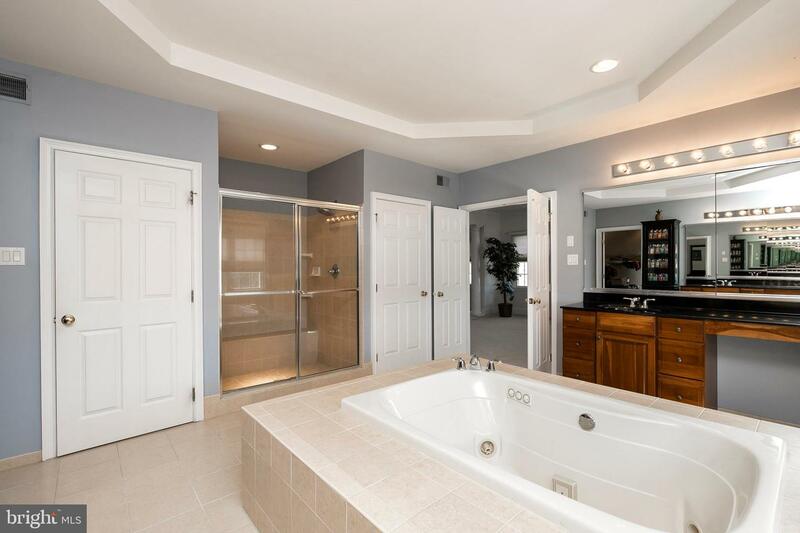 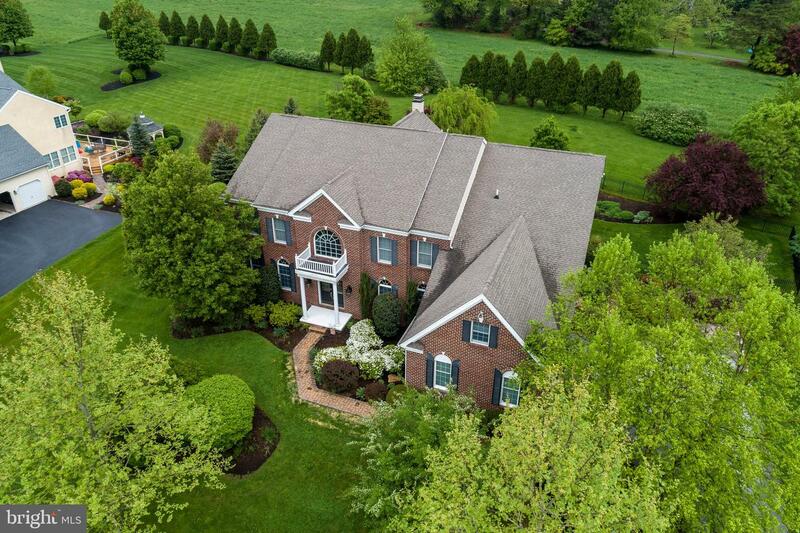 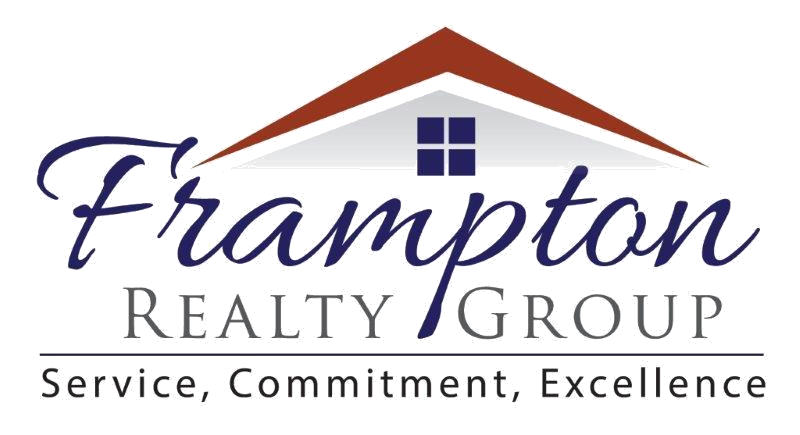 Exceptional value in desirable West Vincent Township!